Jetted bathtubs are a lot like Jacuzzis and add a sense of style and grandeur to your bathroom. As opposed to the use of showers, bathtubs provide you with an extra sense of comfort. Moreover, they can be enjoyed as incredible romance boosters. 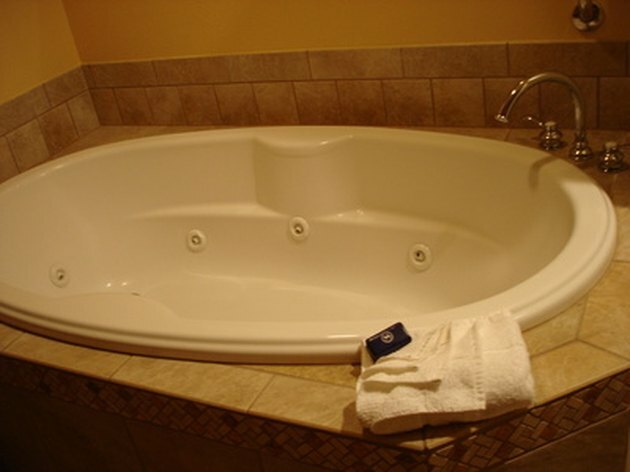 Changing the fixtures of your jet tub is not a difficult task. Change jet tub fixtures yourself and save money. Purchase the supplies that are required to change your jetted tub fixtures at a nearby supply warehouse or retail outlet. Remember to buy everything you need because you do not want to leave the process unfinished. Find the water supply valve outside your home. Turn the valve in a clockwise motion until it is securely tightened. Make sure that the water supply is now turned off. This will help you prevent leaking problems while you are completing your task. Join the P-trap and drain line using tape on the trimmings of the P-trap. Place the P-trap gasket onto the drain and the opposing side onto the outflow pipe. Screw in the bolts with your hand. Use a wrench to further secure the bolts into place. The transfer of warm and cold water is regulated by the water supply risers. Use tape to border the tub's connectors. Screw the bolts into the fittings for each water line. You have connected your water supply risers. Make use of a wrench to securely fix the bolts into place. Ensure that you have not excessively tightened them, which might harm supply lines. Cover your valve with tape, and insert it through the supply pipe by turning it in a clockwise motion. Repeat the procedure for each of the two water pipes. Be certain the alignment of the fitting that is to be connected to the supply risers is perfect. Secure the valves with a wrench. Border the fitting located above the shutting valve with tape. Move the bolt located on the water supply riser to the fitting positioned on top of the shutting valve. Again, secure the bolts with your hands, and use a wrench to fix the nut. Double check everything you have done and switch on the water supply again. You have changed the water supply risers and the drain and water pipe connections. While there are many others, these are some of the important fixtures of your jetted bathtub that may need changing. Sheharyar Khan has been writing professionally since 2004 with articles appearing in various print and online sources, including Empowered Doctor and Disney's "Family Fun." Khan holds a Bachelor of Science in engineering with a major in textiles from Philadelphia University.